Porsche combine superb styling with German engineering to make a sought after sports car marque. When you lease a Porsche you're driving a car of prestige and respect. From the Boxster to the Macan the style is maintained. 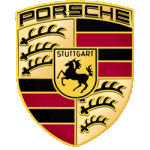 At Little Green Car we've got some great Porsche lease offers. getting hold of one of our Porsche lease deals means you're getting one of the top cars on the road at a great price.